If you love donuts, you are going to LOVE this special National Donut Day offer! 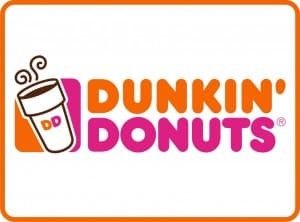 Visit a Dunkin’ Donuts location near you on Friday, June 2 to get your National Donut day FREEBIE (classic donut of your choice) with your purchase of any beverage! So, the only real challenge here is deciding what donut YOU will choose as your donut freebie. Memorial Day weekend kicks off in just one more day! For most people, it is a weekend full of cookouts, swimming, enjoying time with friends and family, time spent outdoors, and much more! A Memorial Day weekend cookout or picnic would not be complete without some great food. But, what do you do with all those tasty leftovers? Need An Affordable Rubbermaid Storage Set and Not Sure Where To Find It? You’re Welcome! Right now, you can take advantage of an awesome Amazon Deal of the Day on a 42 piece Rubbermaid storage set! Today only (Thursday, May 25), you can get this 42 piece food storage set for for just $19.87. This set typically retails for $23.38. If you hurry, you can get the set for 15% off. This set is great when you have limited storage space because the lids stack and lock together. The containers stack too! You can nest the smaller containers inside the larger ones for optimal convenience and storage. 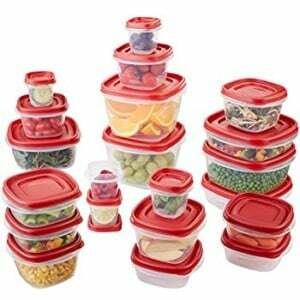 The Rubbermaid containers are dishwasher safe, freezable, and are BPA free. This set includes: 5 (0.5 Cup) containers, 5 (1.25 Cup) containers, 5 (2 Cup) containers, 2 (3 Cup) containers, 2 (5 Cup) containers, 2 (7 Cup) containers, and a lid for each container! If you purchase this great Amazon Deal of the Day, you will have plenty of containers to store your leftover Memorial Day foods! Snag this great deal while you still can! Have you ever consider that you might be under-cooking your meat, thus making yourself and your family susceptible to illness or disease? If you are not using a meat thermometer, it is possible that your meat may not be reaching the desired internal temperatures before you consume it. If you do not currently own a meat thermometer, now is a great time to invest in one just in time for Memorial Day weekend cookouts and barbecues! Today only, Amazon is offering a special Deal of the Day on a ThermoPro TP03A Digital Food Cooking Thermometer Instant Read Meat Thermometer. This meat thermometer typically sells for $29.99, but today only you can get it for just $10.99! With this special deal, you will save a whopping 63% (or $19.00) off your purchase. Incredible! This digital food thermometer gets a quick temperature reading (within 4 to 7 seconds), is easy to use and easy to store, has a wide temperature reading range, has a very accurate read-out capability, and it comes with a thorough 5-year warranty. 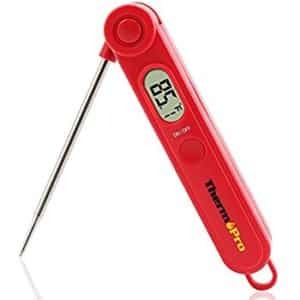 You can go wrong with the ThermoPro TP03A Digital Food Cooking Thermometer Instant Read Meat Thermometer. This particular product is so great and well liked by customers that it is an Amazon best seller! Purchase one for yourself to find out firsthand why people like this digital thermometer so much. Today only, (Tuesday, May 16) you can buy one pulled pork sub and get one completely FREE. Yes, you read that correctly. If you purchase a pulled pork sub today at a Quiznos restaurant near you, you can get another pulled pork sub at no cost in celebration of National BBQ Day! 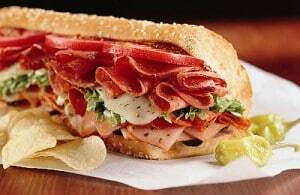 You do not need a coupon to take advantage of this tasty buy one get one FREE offer. Please note, this offer is only valid in the United States and is limited to 10 FREE subs. Remember, this offer is only valid TODAY. Hey, teachers! We know Teacher Appreciation week 2017 is almost over, but the special teacher freebies and sales are not over just yet! 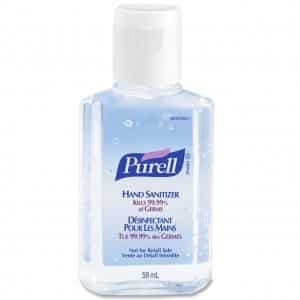 Today (Thursday, May 11), Amazon is offering a special Deal of the Day on Purell. Any teacher knows there is no such thing has having too much hand sanitizer! If you are running low on hand sanitizer as the end of the school year approaches, you should scoop up this savings offer before it disappears. Today only, you can purchase a 2 pack of 1 liter bottles of Purell hand sanitizer with aloe vera. Purell with aloe kills germs while it softens your skin. 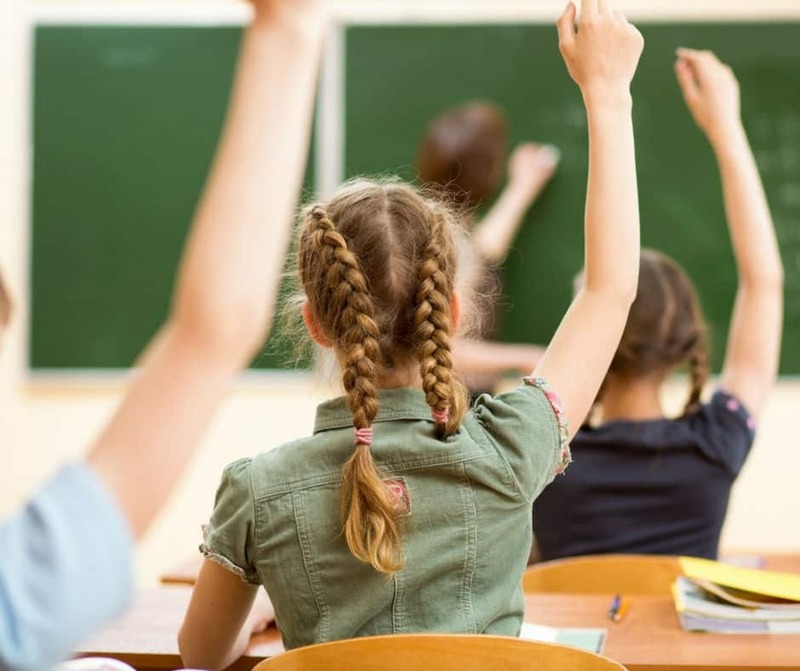 Unlike many hand sanitizers, Purell does not have a strong, overwhelming scent so it will not create distractions in your classroom (can you imagine having a strongly scented hand sanitizer in your classroom?? You can just imagine students saying “what is that smell? !” “I like/don’t like that smell!”) This duo pack of Purell typically sells for $19.48, but today only you can get this hand sanitizer pack for just $16.97 which is a savings of 13%! Keep those pesky germs away at the end of the school year with this Deal of the Day. Teacher Appreciation Week And Nurse Appreciation Week FREEBIES ~ Deals! Are you a teacher or a nurse? If so, many companies want to thank you for all the hard work you do to educate and care for members of your community! Though your tireless contributions may seem to go unnoticed, these special appreciation weeks are meant to remind you that your work is appreciated. Now, onto the freebies! Cinnabon – participating Cinnabon shops throughout the country will offer nurses a FREE Cinnabon Classic Roll or MiniBon roll when they display their healthcare ID badge during Nurse Appreciation Week. David’s Tea – On May 12th, we’re celebrating Nurses Appreciation Week with a FREE tea of the day for all nurses and nursing students at DAVIDs TEA. Visit an EVOS restaurant near you to receive a FREE meal or salad with your purchase of a meal or salad when you show your nursing ID. Any nurse can visit a participating Einstein Bros. Bagels for a FREE Espresso Buzz bagel + schmear on Thursday, May 11. Bring your nurses ID or come in your scrubs. Save 30% on your purchase of $50 or more at New York and Company when you use this discount code 6226. Get a discount of 50% off your bill at PDQ on Tuesday, May 9, when you display a valid teacher ID. Teachers with valid ID can get 15% off full-priced in-store purchases at Banana Republic. Teachers can download five free posters of their choosing along with 100 free printables for the classroom from the Scholastic Store. At Old Navy, teachers can save 20% on their total purchase during Teacher Appreciation Week. Fashionista teachers! Save 15% on a purchase with a valid school ID at any Kate Spade store. Do you enjoy coloring in fun and creative adult coloring books? If so, you are not alone! Many adults enjoy coloring in the ever popular adult coloring books. If you are a fan of coloring, then be sure to check out this awesome Amazon Deal of the Day! Right now, you can get a set of 80 Smart Color gel pens for just $15.99! These pens typically sell for a whopping $59.00, so if you purchase this pen set today you will save $43.01 or 73% off! That is a huge saving on a great and useful product. These pens do not bleed through paper so you can use them in your coloring books. The pens come in a wide variety of colors and finishes (including a glittery or milky finish on some). Amazon customers are consistently very satisfied with their purchase of these Smart Color gel pens. The one noted downside to these pens is that their color names are not listed which can make differentiating between the colors a bit of a challenge. 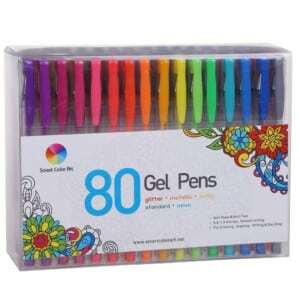 Today only, you can snag your own pack of 80 gel pens for the discounted price ($15.99). You really cannot top this amazing Amazon Deal! If you enjoy coloring or know someone who does, be sure to take advantage of this great savings opportunity before its too late. You Could Snag a Brother Embroidery Machine At 20% OFF!! Amazon often runs incredible Deals of the Day, and today’s featured deal will not disappoint for all you crafters out there! 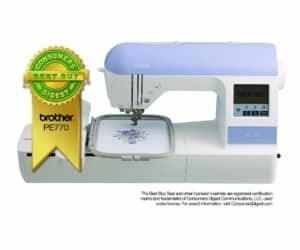 Today only, you can get a Brother Embroidery Machine with built in memory, USB plug-in port, 136 built-in designs, and more! This embroidery machine typically sells for $593.39, but today you can get this awesome machine for 20% off or ($471.99)! This embroidery machine has a wide variety of incredible features that any crafter would enjoy using. This particular machine has extremely positive reviews from Amazon customers. Find out for yourself why people LOVE this embroidery/sewing machine. Remember, this special deal ends today! These Companies Want To Thank Admins With These Administrative Professionals Day Freebies & Discounts! Administrative Professionals Day 2017 is this Wednesday, April 26. 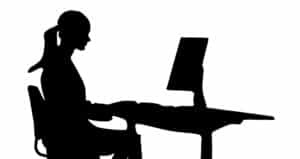 On this special day we acknowledge the tireless and often under-acknowledged work of administrative professionals. This year, be sure to thank the administrative professionals at your job with some thoughtful gifts and treats! Here is a list of discounts and freebies that you can share with the admin professional/s at your place of employment! Godiva: This delectable chocolate company is celebrating Administrative Professionals Day by offering 15% off certain items, such as gift baskets and truffle boxes. Lingzhi Coffee or Tea: Send a FREE coffee or tea sample to your favorite administrative professional. Pizza Hut: Use the coupon code ELEVENONLINE to get any large sized pizza for just $11. Edible Arrangements: You do not need a coupon to get $20.00 off your purchase of the Ultimate Taste of Edible gift basket. Teleflora: Use the coupon code AFLS174RMN to get 15% off flowers on the Telaflora website through the end of April. NESTEA: Snag a coupon for a FREE bottle of NESTEA iced tea for the awesome administrative professional at your place of employment! Bob Evans: Use the discount code 0759002636 to get 30% off your food purchase through the end of May. 1-800-FLOWERS: Use the coupon code RMNSV15 to get 15 % off your purchase of flowers and gifts through June 30. This Little Known Trick Will Get You Free Shipping!! Are you familiar with SkinCeuticals skin care products? If not, you have been missing out big time! SkinCeuticals products are amazing skin care items that improve the health and appearance of your skin. However, these products are not like most skin care products. They are especially unlike those you find in your local pharmacy or grocery store. These products have been thoroughly studied in scientific labs. The labs have validated the effectiveness and benefits of using this line of skin care products. In fact, these products were the result of many, many years of skin cancer research. The skin care items made by Skin Ceuticals are created in the United States and are frequently used by dermatologists, estheticians, and many other skin care experts. If you would like to try these products but save yourself some money while doing so, be sure to sign yourself up for their FREE newsletter. 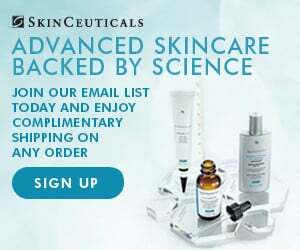 When you do, you will receive helpful tips and info on skin care, insider info on the products, info on the most current trends in skin care, special offers, and best of all; a special code for SkinCeuticals FREE shipping! Sign up for the helpful and informative FREE email newsletter today to get your FREE shipping code and start saving!